We will send an e-mail confirming the receipt of your payment. If we have any questions regarding your order, we will include them in the confirming e-mail. Please watch for this confirmation. Please add to your address book to assure delivery! SHOP OFF-LINE - GIVE US A CALL - We're here to help! This is the grinder for the 21st Century. 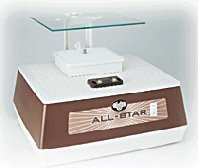 Features a strong, quiet motor, 1" and 3/4" bits, and LED lighted eye shield and so much more. CBS has brought out a sampler of transparent coarse frit in clear and colors (plus a tube of black frit) with their Rainbow Dichroic Coating. We have rod and COE 104 sheet glass, all on sale now! Our updated selection is on line. Nearly 2000 jars have arrived on the last few shipments including the Moss Green style shown above. Three new colors join our selection of Opal Art, Reactive Fusers Reserve, and Streaky styles. Wissmach 90 - COE 90 Glass at a super price! 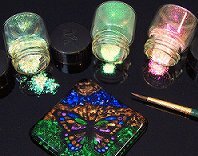 Dichroic Extract - paint with dichroic coatings! Colour De Verre Molds expanded with new molds! 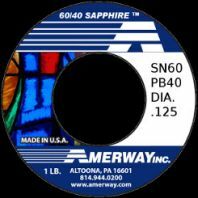 DVD's on General Techniques, Soldering, Cutting and more! LOOKING FOR MORE INFORMATION ABOUT OUR SECURE SHOPPING CART? NEED TO KNOW YOUR SHIPPING AND HANDLING COSTS?